Long Island Divorce Lawyer | Nassau Family Lawyer | Law Offices of Jay D. Raxenberg, P.C. I am attorney Jay D. Raxenberg, and we offer experienced legal counsel, representation, and services to individuals and families throughout Suffolk, Nassau, and Queens with divorce and family-related legal issues. As a Long Island divorce lawyer, I am fully committed to protecting my clients’ legal rights and interests throughout their family law cases. I dedicate my time and effort to provide the best possible representation to each one of my clients. This website has been designed as a tool to help people with their legal matters, offering trusted information regarding a variety of family law and matrimonial issues. Family law issues are very different from other types of legal matters. You are not only dealing with breaking up a romantic partnership; in many cases, entire families and households are involved. I know this requires a delicate touch combined with an unmatched knowledge of the legal system as it applies to families and divorce. I believe in taking a solution-oriented approach to my cases to help avoid unnecessary and possibly lengthy litigation. Sometimes, however, the best efforts at ending a divorce amicably can be thwarted. If this is the case, you can rest assured that I will use my extensive litigation experience to do everything I can to advocate your best interests. To determine which spousal support you may need to pay, it is best that you speak with a Long Island divorce attorney.The divorce process can be overwhelming, stressful and emotional and I do my best to ease my clients through with the least amount of stress possible. I am experienced when it comes to all types of paperwork that need to be filed as well as the mediations and negotiations necessary to complete the divorce. Call my firm today to see how I can make the process easier for you while fighting to make sure your wants and needs are met. Do you need a Long Island Divorce Lawyer? If you are not filing for divorce, but rather need help resolving another family law issue, I can help to ensure the legal process goes as smoothly as possible. Almost all legal matters, and certainly ones involving family law, can be time sensitive and can have consequences if the paperwork is not filed properly or on time. This is one of the many reasons it is important that you retain professional legal counsel when filing for divorce or dealing with a different family law issue. I know that it is important to you to do everything possible to avoid a long, tedious and sometimes traumatic process. Family law proceedings are often very emotional and it is easy for people to lose sight of their goals and priorities when attempting to negotiate without a skilled attorney. That is why my team and I are here to give you the legal advice and assistance that you need throughout the process. No matter what your situation involves, an experienced Long Island family lawyer could be able to help you to handle the legal issue as smoothly and promptly as possible. Contact The Law Offices of Jay D. Raxenberg, P.C. Today! Whether you need help filing for divorce or are interested in creating a prenuptial or postnuptial agreement, you can find the trusted legal counsel you need for all of your family law matters at my firm. I and my legal team strive to make the entire process as painless as possible, as you are likely already going through a difficult time. We genuinely care about our clients and their futures; we have the rare combination of skilled legal experience and personal supportive guidance. For more information about my services, please do not hesitate to contact me at (516)491-0565. I am dedicated to having a strong client-attorney relationship with constant communication so I am available to answer calls 24 hours a day, seven days a week. If you are facing a family law issue or looking to go through a divorce Contact a Long Island divorce lawyer for experienced and dedicated legal representation you can depend on! I highly recommend Mr. Raxenberg. He is very honest, very professional, and has a great sense of humor to get you through the difficult process. He has a through grasp with the law, and is absolutely excellent in getting back to you for any questions you have, no mater if is middle of the night or weekends. When going to court, it's very apparent he is well respected by his peers and the judges. I am glad he was able to settle my case, and bring closure to the matter. Jay is an excellent attorney, and takes pride on what he does and does it really well. he's very personable and makes the process less stressful. He's just not an attorney but someone that truly cares and will not just settle for anything .. very very rare to find someone like Jay. I would recommend his services to anyone!! Jay is friendly and tells it like it is. I felt comfortable immediately with him. Although he was a little pricier then some other attorneys he didn’t mislead me like they had. I recommend him and would use him again if needed. I couldn’t be happier with Jay’s work on my case. Throughout the process he was always available to answer questions, usually returning my calls or emails within a few minutes and always by the end of the day. He was always on time and prepared when we appeared in court. I have had experiences with other attorneys where they promised the moon and stars in the initial consultation and then pass you off to a paralegal never to be seen or heard from again. This was not the case with Jay Raxenburg, he treated me with the same level of attention and professionalism from the first meeting all the way to the resolution of my case and he followed through on everything he said he would do. Jay exceeded my expectations and I would recommend him to any of my friends or family without hesitation. What else can I say about Jay Raxenberg other than he’s the man! Jay has worked extremely hard on my case for the last year and a half to make sure things work in my favor. It was a long process that I thought would never end. At one point I told Jay I was over everything. I was willing to settle for just about anything to get it over with. His response was “you will have to fire me and hire a new attorney. I will not settle until I’m sure it’s the right time!” Thank God I took his advise. He worked hard and he fought hard to get me what I deserved. He truly cares about his clients and wants the best for them, unlike some other attorneys out there. I’m very happy that I chose Jay for my situation. He’s a great human being. Thanks a lot jay for all you have done. You rock! My wife and I went to Jay for relocation battle, against my wife's ex husband, to move my stepson out of state. Jay is very helpful, resourceful, and have a very vast experience when it comes to familys problem and divorced. He guided the both of us and was with us from the beginning to the very end. We couldn't be happier with the result Jay has fight for us. We would highly recommend Jay to any person in need of serious help with the law. Thanks Jay we sure appreciate everything you have done for us. I highly recommend Mr. Raxenberg . He is very professional and he gets the job done. He has excellent communication skills and he makes himself available to his clients. He has returned all my phone calls and replied to my emails in a timely manner. If you are looking for a lawyer, he is one of the best. 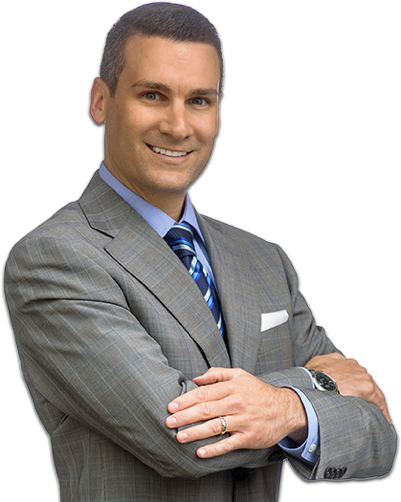 The best decision I ever made was hiring Attorney Jay Raxenberg for my divorce and custody litigation. At the time I retained Jay I was in a vulnerable state both emotionally and financially. He was compassionate and very confident based on my circumstances that he would obtain for me the relief I was pursuing and indeed he did deliver I not only received custody, child support and maintenance but the Court ordered my spouse to pay all of my counsel fees. He always returned my telephone calls the very same day and was always accommodating to meet with me at his office when it suited my hectic schedule even if it was on a weekend. He was aggressive in the Courtroom when he needed to be while always being a professional in every way. Thanks too Jay I can smile again and enjoy life.!! I am so proud to have Jay as respresentation. I have so much respect for Jay. He keeps it simple and gets the job done, consistently maintains professionalism, and has proven to be fair and proactive throughout my case. Although the other party did not express the same level of cooperation and professional courtesy, Jay's commitment never faltered. I admire and appreciate his dedication both to his field and to my case, and he has not steered me wrong once. Read more of our reviews on our Google reviews page.